I'm pretty sure that this guy? 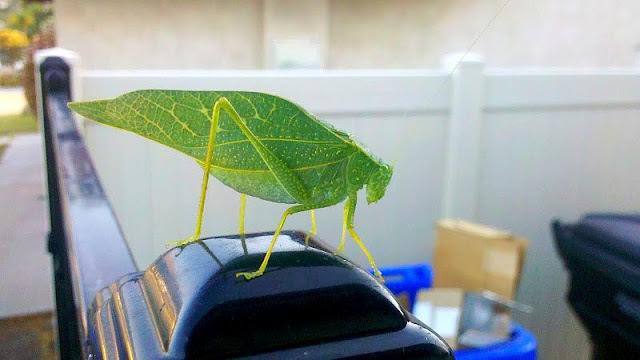 If he were standing on a leaf or a branch? Would be virtually undetectable. He chooses a fence post. Someone needs to tell him he doesn't quite blend. I've felt like this guy looks on occasion. I remember attending a Brownie meeting with The Girl years ago. The other mothers were all complaining about one teacher who was using a red pen to grade papers. They were actually interested in getting rid of that teacher because the use of red pen might hurt their child's self-esteem. I like to think my kid is smart enough to realize that even if a correction is done in purple pen, it is still wrong and she needs to learn from that mistake. I felt a bit like that tonight at The Girl's swimming awards banquet, We sat at a table with some parents we do not know well. When the coach was giving out some "joke" awards (a fly swatter to a girl who stopped a meet because there was a bee in her lane, a can of Cheese Whiz to a boy who whined the most, etc.) one of the parents thought that she was being mean. The kids didn't think she was being mean. In fact, when the coach was given a gift by her team, one of the boys mentioned that he got an award for goofing off one year and that the next year he was the most improved swimmer. So maybe there was method in her meanness? I think that, as a society, we coddle our kids a lot and do them a pretty big disservice. I don't like to see our kids hurting or frustrated or sad any more than the next person. But we need to help them figure out how to deal with those emotions and the things that bring on those emotions. And better to have them figure it out in a safe environment, one in which we can guide them, than out in the "real world" alone. I believe we need those coaches who give them a not-so-gentle public nudge. 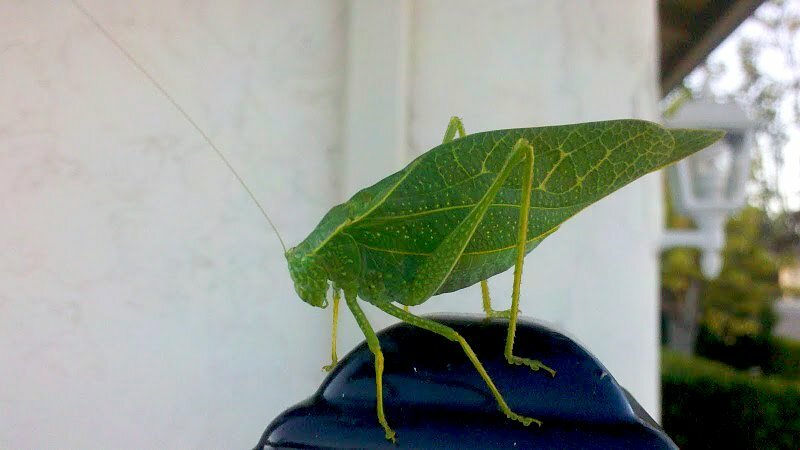 And I think that thinking that way, at least here in my area of So Cal, makes me a bit of a leaf bug on a wrought iron fence post. At least it feels that way sometimes. The Children are worth it though. There is a chapter in the book The Last Lecture by Randy Pausch where he talks about coddling kids too much and how he's a better person because a coach of his dumped a big cooler of water during a football game because the kids were being brats. He said he learned a lot that day and is thankful for it. oh my gosh! that little critter is incredible! how gorgeous!!! wow, the beauty around us is just remarkable. thanks for sharing!